Sensitivity is 90% for BLC compared with 75% for white light cystoscopy. 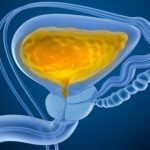 BOSTON—Blue light cystoscopy (BLC) significantly increases the detection rate of urothelial bladder cancer compared with white light cystoscopy (WLC) alone, investigators reported at the American Urological Association 2017 annual meeting. Soroush T. Bazargani, MD, of the Norris Comprehensive Cancer Center at the University of Southern California in Los Angeles, and colleagues studied 426 patients who underwent 517 BLC procedures prior to transurethral resection of urothelial bladder tumors. Using final pathology as the reference standard, the sensitivity of WLC, BLC, and the combination of these modalities was 75%, 90%, and 98.5%, respectively. Adding BLC to WLC increased the detection rate by 12% for any papillary lesions and 44% for carcinoma in situ (CIS) lesions, according to the researchers. The sensitivity of BLC was 90% in patients regardless of prior bacillus Calmette-Guérin (BCG) treatment. The specificity of BLC was 32% overall and 34% for patients with prior BCG treatment. The positive predictive value was 60% for BLC overall and 55% for BLC use in patients previously treated with BCG. Among patients who had negative findings on WLC, another 170 lesions in 105 patients (25%) were detected exclusively with the addition of BLC, Dr Bazargani and colleagues reported. In multifocal disease, in addition to WLC-detected lesions, BLC resulted in upstaging in 54 patients (13%), with a subsequent change in disease management. The overall false-positive rate was 26% for WLC and 32% for BLC. Bazargani ST, Djaladat H, Schuckman A, et al. Blue light cystoscopy for diagnosis of urothelial bladder cancer: results from a prospective multicenter registry. [abstract] J Urol 2017;197(4S):e171. Poster presented at the American Urological Association 2017 annual meeting in Boston on May 12, 2017. Poster MP15-02.